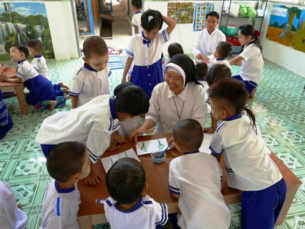 For 10 years PIN supports children and youth projects of the Diocese of Pathein. When a German foundation approached us with a substantial donation for a Myanmar nursery school, we could arrange a project in Pathein. 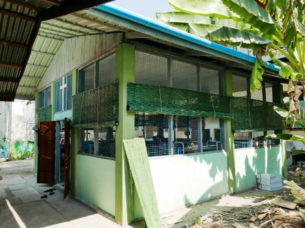 Here, a nursery school wanted to improve and upgrade its training facilities. By means of the donation, a new learning center could be realized which will improve creativity and ingenuity of the children.